You and your family should face every thrilling adventure inside a vehicle that’s equipped with all your road trip necessities. From user-friendly technologies to classy comfort, every feature inside your SUV needs to be dressed to the nines and ready to soar along new territories near West Valley, Murray City, and Orem. Fortunately, your highway-trekking companion arrives in the form of the 2018 Volkswagen Tiguan. Ready to take a peek at the convenient cabin amenities found in this capable ride? All you have to do is dive into this 2018 VW Tiguan Interior review created by Volkswagen SouthTowne. With this dependable vehicle by your side, nothing will stop you from connecting to the must-haves during every journey. A comfortable oasis is essential for any adventure. And, inside the cabin of the 2018 Volkswagen Tiguan, you’ll sit back and relax amongst stress-banishing surroundings, such as the optional 10-way power driver’s seat with power-adjustable lumbar support. Thanks to the handy adjustability of this chair, you’ll find the perfect seat position for your body’s unique proportions in a matter of seconds. On top of that, this reliable SUV comes with seating for up to seven passengers, which means that you’ll have plenty of room for your kids’ friends to accompany you on your vacation getaway. After everyone’s secured inside the cabin, you’ll warm up with available features like a heated steering wheel and heated front seats. All you have to do is engage the heat settings and wait while your car helps you get cozy. No matter where the roads take your family, you want to be sure that everyone can tap into their favorite technologies. That’s why the 2018 VW Tiguan interior comes equipped with an available Discover Media infotainment system, which is controlled from an 8-inch touchscreen. 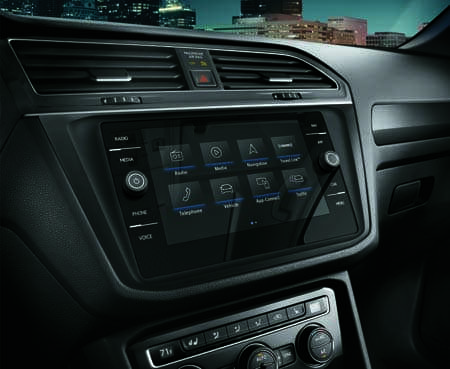 Once you’re ready to listen to your tunes, feel free to access the VW Car-Net® App-Connect system that pairs your smartphone to tools like Apple CarPlay™, Android Auto™ and MirrorLink®. That way, you can easily access your own library of music, applications, and podcasts from the responsive display. Looking for a way to stay updated on your navigation directions and performance abilities? If so, consider arming your 2018 VW Tiguan interior with the optional Volkswagen Digital Cockpit. Conveniently situated behind the steering wheel, the 12.3-inch screen serves up details about your drive—from a map view with turn-by-turn directions to driver assistance alerts, and more. After these gadgets emit audible and/or visual signals, you can take the necessary actions to sidestep a collision and keep your loved ones out of harm’s way. 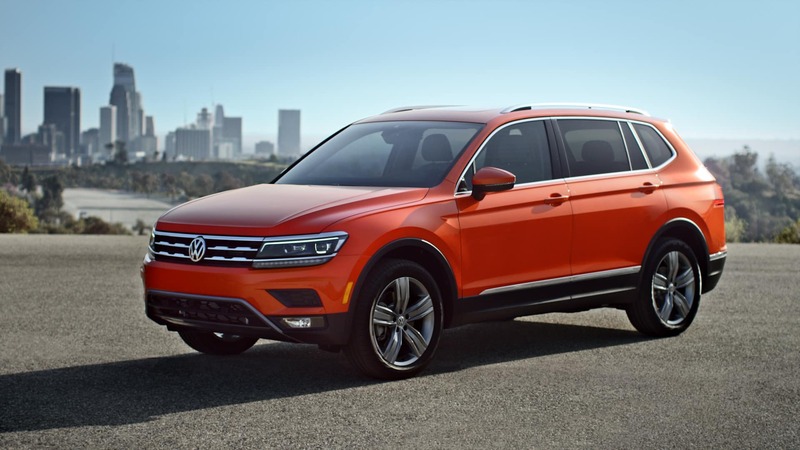 Explore the 2018 VW Tiguan Interior Today! At Volkswagen SouthTowne, we want to help your family enjoy every spontaneous jaunt along the roads of West Valley, Murray City, and Orem by arming you with a capable SUV. And, by claiming your spot in the driver’s seat of the 2018 VW Tiguan interior, nothing will prevent you and your loved ones from reaching every new destination in comfort and style. To discover more about the advanced technologies, cozy comforts, and intuitive safety amenities found inside this sleek automobile, visit our showroom or schedule your test drive today!